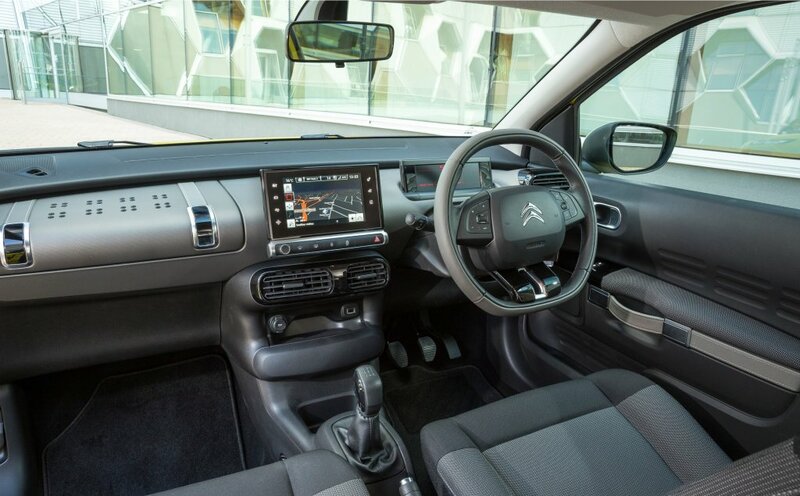 The quirky cabin in the new Citroen C4 Cactus has been acknowledged with the Most Beautiful Interior of the Year award at the 30th International Automobile Festival in Paris. The prize is awarded to the production model with ‘the most relevant design approach in terms of the harmony of shapes, materials and colours’. Jury members include experts and enthusiasts in the fields of architecture, fashion, design, motorsport, culture and media. The panel was chaired by architect Jean-Michel Wilmotte. 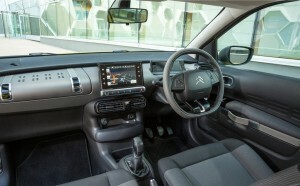 Citroen said the ‘de-cluttered dashboard [which offers] a more comfortable cabin environment’ won the votes of the judges. It added: ‘The interior is both stylish and functional, with special storage compartments and details, such as suitcase-style straps on the doors. ‘The slimline, floating dashboard is topped by a large and easily accessible storage area created by transferring the front passenger airbag to the ceiling. We at atTheLights.com were also quite taken with it when we had it for review earlier this year – particularly the ‘easily assessible storage area’ or as we called it, the picnic basket-like glove box.